Brexit and employment rights for law firms: what could a no deal mean? At LawWare, we put you and your practice first. When it comes to practice management, the buck stops with you. It's not just about bringing in fees - management matters too. As Practice Manager you have many responsibilities to shoulder. Robust, integrated accounting software is your highest priority. It's your role to ensure all IT assets are robust and value for money. Taking a step into the unknown? Make sure you get the best advice. Are you experiencing growing pains as your business develops? Do you need a solution that covers all the bases? A technological revolution. Virtual solutions for virtual practices. My business is an A.B.S. Mapping out a new way forward? We build lasting relationships through common-sense solutions designed to grow your practice. Looking for practice management solutions can be a daunting process. It needn't be. At LawWare, we will work closely with you to develop and plan your project. The cornerstone of effective set-ups is good project management. Your data is the lifeblood of your practice - a major consideration when moving to a new system. Going live is the pinnacle of all the hard work and preparation which is the key milestone in your project. Training and support are integral to our unequivocal client care approach. Even with the best systems and training there will be times when a little extra assistance is required. We know you strive to deliver high quality service to your clients - we aim to do the same for you. We aim to be ready to adapt, change and evolve to meet the demands of the legal profession. All the features and all the benefits - everything explained in bite-sized chunks. Overview – What is LawWare? The benefits of The Cloud in down-to-earth language. Are You Ready For The Cloud? Find out more about us, who we are and how we work. Hundreds of UK clients provide the best evidence of the quality of our software and services. At LawWare our goals are clear: we strive to provide our clients with the best possible service at all times. The story of LawWare from its beginnings in 1995 to the present day. Find out who's who at LawWare - what we do at work and what makes us tick. We are a growing business and we are always on the lookout for new talent to complement our existing team. Useful links to other organisations - legal, professional, humour and miscellaneous. Welcome to the LawWare Resources Centre. Discover what our clients think about the LawWare system. See what our clients, small and large, say about us. Find out what’s under the bonnet of the LawWare system. Technology and legal industry white papers and information. Learning materials, videos and other support tools for clients. Blog: Brexit and employment rights for law firms: what could a no deal mean? 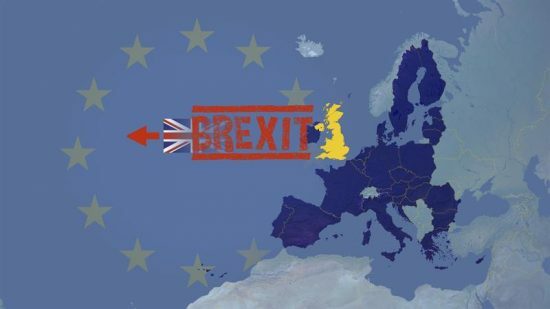 Whichever form of Brexit we end up with, it will certainly impact upon how law firms handle employment rights. Whether you’re an adamant Remainer or a dyed-in-the-wool Brexiteer, there’s bound to be some confusion. In the event of a no deal scenario, the government has already set out plans. These come in the form of a series of technical notices which set out the position if no agreement is in place when the UK leaves in March 2019. You may well believe that now Theresa May has a deal with Brussels, all is well. However, Parliament still has to agree the deal and that is by no means a foregone conclusion. I don’t bet on politics just as I don’t bet on football – and I’m a Man City fan! So, what guidance is The Government giving on a no deal Brexit? Let’s take a look. The Working Time Regulations 1998 (including annual leave, holiday pay and rest breaks). A number of health and safety requirements. Transfer of Undertakings Protection of Employment (TUPE) Regulations 2006. These are the most familiar – there are many more. The technical notice clearly states that the EU (Withdrawal) Act of 2018 will come into play. This will convert powers derived from EU Directives into UK law. Naturally, the government will make amendments where it sees fit to do so. Fundamentally, the aim is to allow UK workers to continue to enjoy the benefits of the former EU regulations. Following a no deal outcome, the government indicated a couple of possible changes. It is unlikely that these will affect many legal practices, but they are worth a mention. Currently, workers can request European Works Councils (EWC) to be established. They provide information to, and consult with, employees on issues spanning two or more European Economic Area states. The government indicated that, following a no deal Brexit, it will recognise existing EWCs as far as possible. However, the creation of new EWCs will not be allowed. In the event of no deal, UK employees who work for a UK or EU employer will enjoy the same protection they have now. In other words, the EU Insolvency Directive will become part of UK law. UK employees will still be able to make claims in employer insolvency cases. UK and EU employees working outside the UK in an EU country for a UK employer may still be protected under the national guarantee fund established in that particular country. However, the government gives no guarantees in this particular instance. What does this mean for UK law firms? The short answer is: pretty much the same as it means for most UK businesses. The implications of the most recent technical notice are limited but it is likely further notices will follow. The most prominent change following a deal or a no deal Brexit will be the position of the courts. The European Court of Justice will no longer have jurisdiction in the UK. The UK Supreme Court will be the last port of call in employment disputes. How the Supreme Court will interpret the impact of earlier EU case law remains to be seen. Brexit of whatever variety is likely to cause some disruption to business. Is your workforce flexible and agile enough to cope, either with a downturn or an upturn? Is your workforce likely to be affected? Take a look at what will happen if you employ EU nationals and examine the likely impact of Brexit on the wider legal labour market. Take a look at your bottom line. Now is not the time to have high levels of WIP and extended lines of credit. 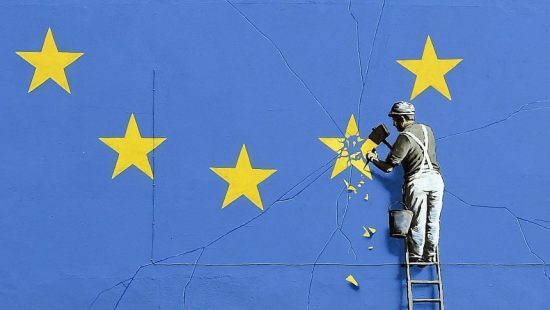 Are you keeping an eye on Brexit developments? Appoint one of your team to monitor Brexit issues as they unfold and identify areas of concern for your practice. I’m sure there are many people who are fed up to the back teeth with hearing about Brexit. Most legal professionals to whom I speak just want it all done and dusted as soon as possible. As things stand at the moment, it appears employment law will remain largely unchanged in the short to medium term. However, it makes sound business sense to have a contingency plan, to get your ducks in a row and to plan for the longer term. Join over 450 law firms across the United Kingdom. Our clients range from small start-up legal practices to multi-partner, multi-site firms. Another great customer service experience from LawWare. My laptop had to be stripped back to factory settings as part of a repair - taking hours! In contrast, restoring LawWare took one phone call to the support team and I was up and running in 6 minutes. If only everything was so easy! As the first commercial user of LawWare back in 1998, we have had no hesitation in remaining with the product through its development. We thoroughly recommend it to any firm looking for a practice management system. The helpdesk is exceptionally good. Whatever the query there is always a human being there to help. No leaving messages or being advised to go to a website. The best computer service for solicitors I have ever used! The linking of documents and casefiles saves so much time! I have experience of several accounts packages and I like that LawWare is simple to use and easy to learn. Support is quick and effective and staff are helpful and courteous. I have worked with a number of Case Management providers over the years but have not come across anything with the attention to detail and thoroughness of LawWare. My colleagues and I have not been disappointed. I can’t imagine trying to be a law firm in the 21st Century without 21st Century IT systems. Having a ‘single system’ that underpins all the work, whether we are in the office or out, is an integral part of what we are building. The level of support is the main benefit using this system. The system itself once you have had training is simple and easy to use. We have a great relationship with LawWare and the ongoing support is second to none. Significant preparation was required to configure and import the data from our old firm. We had to get all clients onto the new system and then learn how to use it. We just find it very easy to use, much easier than our old system. Being a busy litigator with a growing firm it is incredibly useful to be able to view my files from any location with some form of internet connection. I am a fan, and want to keep working with LawWare to make a good product great. The switch to the new LawCloud system, which is still on-going, has gone very well. We found the LawWare team without exception to be very helpful and knowledgeable. All queries are followed up and dealt with promptly. Copyright © 1995-2019 LawWare Ltd.